Miana Jun Photography was able to capture every single moment throughout our wedding events in a way that when we now look back, we can actually feel the love, happiness and excitement that we both felt on that very day. Our relationship with Miana Jun started when she had shot our engagement photos in NYC last year. She not only took the time to get to know us as a couple, but also scouted the city for special locations that were specific to us. The pictures she had taken were not only whimsical and personalized, but they were also romantic and intimate (which is very tough when shooting in a big city!). After our first photoshoot ever with Miana, we knew we had to take her with us to Martha's Vineyard to capture our wedding day. There was no question about it! That day as you can imagine, was very emotional and very busy. But as a professional photographer, Miana knew exactly what to do to get the perfect shot. She not only stayed on schedule (better so than I! ), but also scouted the location in advance to maximize our time. Miana and her team were so professional and talented - each picture came out gorgeous. But what stood out most was eye to detail. Every picture taken expressed a specific emotion from that day - from rowdy cheering and dancing to one-on-one quiet moments with my new husband. 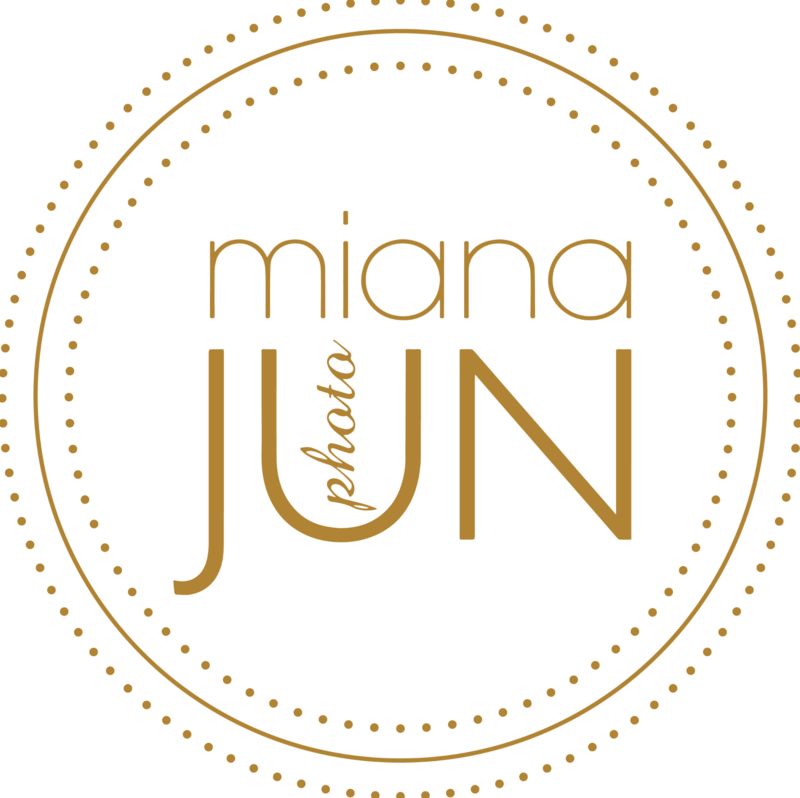 I would definitely refer a friend, a family member and anyone looking for a photographer to Miana Jun Photography. We can't recommend Miana enough. Our photos are absolutely stunning and her enthusiasm is infectious. She captured the best essence of us and of everyone we love. She is a gentle but skilled and specific director and made everything so easy for our family and for us. Miana has a warmth and investment that make it so easy to work with her and let you feel completely secure. She had such amazing ideas for our portraits--things we would never have considered and locations that were really lovely. She was organized and communicative throughout the entire planning process and gave us guidance and input where we needed it but without ever inserting herself over our vision. We're so so happy to have worked with her and so thrilled with our photos! From the beginning of my contact with Miana, she was extremely responsive, kind, patient, and professional. She is warm, and her deep passion for photography is palpable when she talks about her work. From the start of our wedding day, Miana had inexhaustible energy, yet her presence throughout our portraits was calming. Both my husband and I are naturally camera shy, but I was immediately at ease with her and enjoyed myself throughout the entire day. My groom took a bit longer to relax, but even amidst the times I know he was stiff and nervous, Miana managed to capture him laughing and looking at ease. I am so happy that we took Miana's suggestion to spend a few hours prior to our ceremony to do portraits.. She captured some wonderful moments with us in DUMBO and Brooklyn Heights before we arrived at the church. Some of my favorites, though, are the night shots she took in Chinatown with us before we arrived at our wedding banquet. Who knew that two metal folding chairs borrowed from a barber shop and placed in the middle of Pell Street at night would result in such beautiful (and just plain cool) photos? Throughout the day, Miana made sure that she captured what we wanted, but she also gently guided us and used her keen and artful eye to take advantage of the opportunities that arose. She was seemingly everywhere at once, and unobtrusively captured the very best of our wedding day. As longwinded as this undoubtedly seems, I can't find words to adequately express what an absolute pleasure it was to work with Miana and how happy we are with the photographs she produced. As a person, she is a joy and a beautiful soul, and that is reflected in her wonderful photographs. Miana is truly one of a kind. My husband and I feel blessed she was our photographer and lucky to meet such a grounded spirit. She has a vibrant aura that is captivating. The beautiful energy from our wedding day naturally flowed into her camera. Miana connected with the physical vibrations using not just the five senses but her sixth sense as well. I knew when I met her my pictures were going to be outstanding because she had vision internally and externally. We each had 8 people in our bridal parties. My husbands were mostly dirt bike racers. My point is that it wasn't an easy crowd to keep in check. However, Miana was very determined and assertive. Everyone was smiling with there eyes open to say the least. The photos had balance, animation, and class. She used her unique style to set ours apart from all the other standard weddings. The way she placed us in and out of the sunlight with the angles, the direction, the positions and expressions all aligning brilliantly. She even made sure all the ladies hair was out of their faces when we took the breezy ocean compilation. I received my photos yesterday and they are absolutely fascinating. It is like reliving our whole wedding with the emotions and uplifting energy in each photo. She captured the little things as well as all of the classics. She also had her own remarkable flare, catching the essence and aura of the moment. Our wedding was hectic to say the least. The day was running late and no one would ever know if they looked through our album. It is pure magic and, after seeing these photos, I wouldn't agree that we were running late, because every single picture is perfect. I am so thrilled with her work. I hope other brides are as lucky as I in having her shoot their wedding. Our wedding album is sensational. Miana was great to work with and helped us create a very memorable experience! Miana is an extremely talented photographer. She was a joy to work with on my wedding day. Miana was very attentive in the months leading up to the wedding and after. Throughout the creative process she was always considering my feelings while guiding me through with her professional eye. Miana was very attentive to my thoughts of what the pictures should look like and which pictures were important to me. I can not express my gratitude enough to Miana. My wedding pictures are AMAZING! She handled the entire event with class, ease, a delightful disposition and professionalism. Miana Jun exceeded all our hopes. We wanted a wedding photographer with an individual style, who would capture the atmosphere of our wedding and the personalities of our family and friends, without the cookie cutter, glossy-catalogue look of so many wedding photographers these days. We were drawn to her portfolio immediately, for her attention to detail and her sympathetic eye. But we didn't count on her serving as a kind of peace-bearing angel to the whole event. First she made friends with everyone at our rehearsal dinner. Then she put the nervous bride and groom so utterly at ease during our photo shoots the morning before the ceremony, that she probably helped the wedding go more smoothly, helping us keep calm even when it started to rain. During the ceremony, she was a silent, smiling ninja, popping up all over to get every angle without intruding. Through the long dinner after, she won over all of our guests, even the most camera-shy, and captured elements that most photographers would have missed. After all that, she flexed serious production skills with her favorite shots. We can't recommend her strongly enough. Miana was incredibly professional and fun to work with. She clearly cared about getting the best possible shots and capturing key moments. I recommend her highly! We loved loved loved Miana!! We actually only met with her, and we were so pleased with our first meeting, we booked her then and there! Prior to meeting with Miana, we both said we didn't want or need a wedding album, but after looking at her works of art, we signed up for one and we can't wait t to see it! She has a very journalistic approach to her work. We met her at her house for the first meeting and she was so warm and friendly. She had tea/coffee and baked goods ready for us! She is also an extremely thoughtful person with such vision. She works extremely hard and photographed our rehearsal dinner and also the ceremony and reception. She is extremely organized and kept everyone on track and she had great direction, which I definitely needed! She also brought on her second shooter, Dustin who was also phenomenal as well. He was super friendly and easy to work with. They are both genuine people who were truly interested in getting to know us. We are so happy we found them! Thank you Miana and Dustin! I have worked with Miana for many years now. She is not just a photographer but a friend. Her photos are beautiful and unique and you fall in love which every single one. I highly recommend Miana; not just for her amazing artistry but also for her patience and passion. Miana is an impeccable artist in every regard! The details she notices, prepares for and captures are beyond the scope of any other photographer I have worked with. I can not recommend her highly enough. She creates images to savor, that entice the viewer back into the sensations and the experience that has been captured. Miana was great and very accommodating for my wedding. I needed her for 2 days back to back, and needed some of my photos edited in under 24 hours and she was able to make a beautiful slideshow for me to put on display at my wedding. I love all my photos, I would definitely recommend Miana to anyone. Miana made us feel very comfortable from the get-go. She was energetic and valued our opinion. She listened to our story and patiently worked with us to develop a timeline that was best suited for us. She was very responsive throughout the entire process and always accommodated changes in our schedule with relative ease. On the day of the wedding, she arrived early to scout the location and kept us on track throughout the evening. Although working by herself, she did a tremendous job capturing all the important and even many rare moments. We were delighted to see the results of her time and effort. We absolutely love her representation of our wedding day. It was done with such a delicate attention to detail and sense of artistry that told a lovely story. We would absolutely recommend working with Miana, you will not regret it! Miana's personality is warm and charming. She made me feel as if she's genuinely concerned about all aspects of my wedding. Her gentle demeanor ensured we got along right from the start. She has very brilliant creative ideas and was a pleasure to take direction from. We are so very happy with the work she delivered. The photographs are all excellent and are definitely going to be enjoyed for years to come. We'd highly recommend her to photograph your event! Miana Jun has an amazing vision with her photography. With conscientious preparation beforehand, she can orchestrate an enormous photographic event with the ability to artistically incorporate and capture an extraordinary array of details, large and small. And the proof is in her illustrious photos!!! Miana is an absolutely incredible photographer. She is deeply sensitive and has an amazing eye for composition and light. She has an intuitive ability to capture the feeling and essence of a moment. She is so thoughtful and aware of small details. She is such a smart worker who moves like a shadow. She knows where she needs to be to capture the moment while also being mindful not to interfere with special moments as they unfold. She is a brilliant witness, who sees it all! Miana is just the type of photographer you want to capture your special day. She is not only extremely talented and professional, but she has a kind and gentle spirit. Her calm energy is exactly the type of vibe you need when trying to wrangle six kids (ages 3-16) five adults & a dog for a sit down portrait. She photographed our family for my mom's 60th bday, Everyone responded so well to her positivity that the photographs came out beautiful and we all had a blast!! She has also been photographing my son every year since he was 2yrs old. The photographs always capture his energy and personality and make for some amazing photos. I'm so grateful to have those to look back on. I would highly recommend Miana Jun.